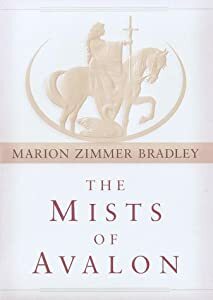 Just like Marion Zimmer Bradley’s extraordinary take on the Arthurian legends in her novel The Mists of Avalon (1982), my Willow the Vampire stories are seen from the woman’s point of view – or rather, from the point of view of an 11-year-old vampire girl. 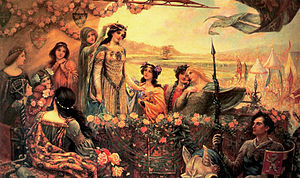 Marion Zimmer Bradley’s (MZB) novel takes supposedly a feminist stance throughout and re-interprets the legends of Merlin, Arthur, Lancelot and Guinevere through the eyes of the women, starting with Igraine, Viviane, Morgan le Fay and finally Guinevere herself. Although I am obviously writing for children, I’m also looking at the clash of the pagan (vampire) world with the rising threat of Christianity, just like MZB. MZB explores religion and metaphysics as well as anthropology in her historical novel and when I read it for the first time I got a little irritated at the over-indulgence of her various themes. To me there was simply too much going on in The Mists of Avalon and frankly, the author seemed to have got lost in the mists of the Arthurian legends. She clearly got so carried away during research, where several very lucrative sources had opened up providing her with an exploration of themes she’d always wanted to embrace and dissect. Her initial message of feminism got lost in a plethora of other concerns. When writing a series – be it for children or adults – or when embarking on a major project that is 100,000 words plus, it is good to have a strict timetable and also an even stricter list of “underlying themes”. At the end of MZB’s book, I was utterly confused as to its message, if any. 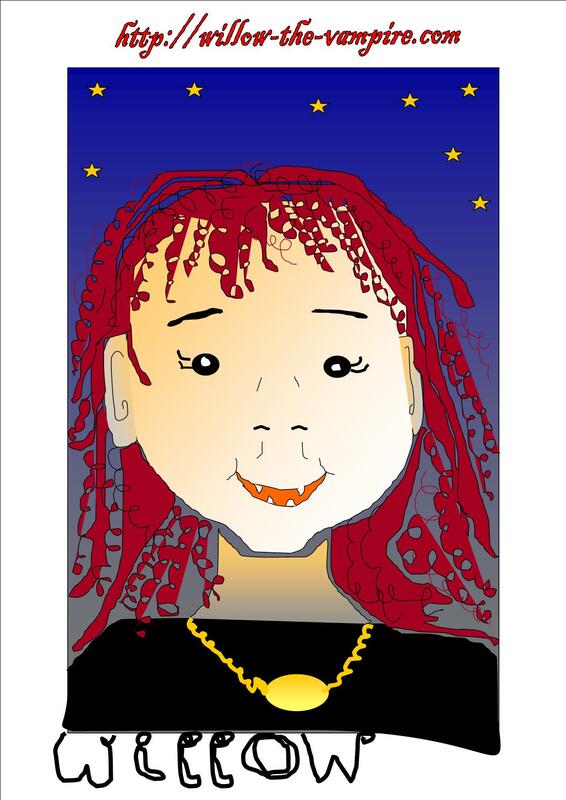 I want to make sure that my child readers won’t feel the same, when they read Willow’s adventures. As this is a series, rather than one large volume, it makes it easier. I can pick one or two themes per book and have one global theme in mind to represent the whole series. On the surface of things this is a battle between dark and light. Vampires, the creatures of the night, versus humans beings representing the light – but this would be far too obvious and frankly, boring. My overall theme is the exploration of a mother-daughter relationship, while the intertwining, criss-crossing theme of female self-discovery in a world that loves gender stereotyping is always bubbling just under the surface. According to the book Children’s Literature in Context (by Fiona McCulloch), “Fantasy allows a writer to comment upon society through the use of metaphor and symbolism rather than directly, as we would expect in a realist text,” (page 97, paragraph 2). Although Philip Pullman’s His Dark Materials trilogy have a female protagonist, Lyra is still very much a female heroine in the old tradition. 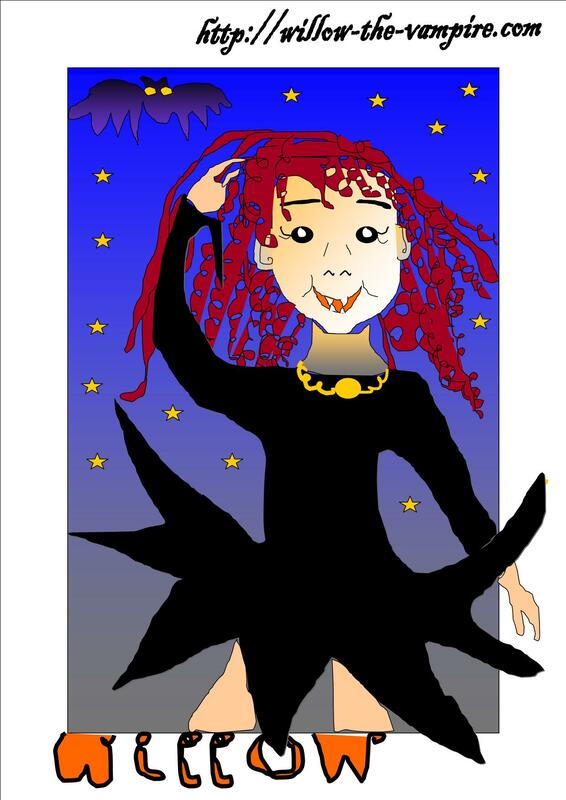 With Willow the Vampire I wanted to introduce a strong female role model into children’s literature along the lines of Astrid Lindgren’s Pippi Longstocking, a wonderfully anarchic figure who takes no nonsense from anybody and doesn’t need a male to help her fight her battles. An adult reader, who is reviewing Willow’s first adventure, said in a Facebook message the other day, he wouldn’t want to cross Willow, as she was quite scary. She is intended to be that way: a little girl who fights back with her wits, but also her claws, fangs and fists if she has to. Female passivity as portrayed in children’s and adult literature as well as TV has always been one of my pet hates. MZB had good intentions, but halfway through her novel she fell for the muscled arms of Arthur and Lancelot, losing her heart to her male protagonists in the mist of their charming smiles. Joss Whedon’s Buffy starts out well, but then her hormones always get the better of her, allowing Spike as well as Angel to get their alluring fangs into her with varying degrees of success. Who are the people who feature largely in worldwide suicide statistics? MEN! Why? Because, unlike women, they do not cope well with change – but the world and human beings with it are perpetually engaged in change as the greatest battle we all have to face. Who kept nations fed and clothed as well as ammunition travelling to the frontlines during WWII – women! Who cleared away the rubble of European cities after my not-so-charming fellow countrymen had reduced Europe to a mess? Women! So why then are females always shown as being weak and needing rescuing? Hermione Granger in J K Rowling’s Harry Potter books is yet another example of this female passivity thing. Generally speaking, women might not go out to fight wars – but then they do not feel the need to start them either. Females, vampire and humans, are always the ones with the strength to rebuild the world after men have turned it to ashes. If Ragnarök happened today, who would you rather have around to rebuild the world? Batman or Catwoman, Buffy or Angel, Pippi or Harry, Willow or Peter Pan? Thanks for stopping by. More needs to be done though to establish female protagonists as characters rather than a lovely piece of meat for men to gawp at…think wonderwoman, catwoman,even Buffy. Lara Croft is probably the only one who’s breaking the mould to a certain extent – she’s the boss at all times. Great stuff – hope you’re flexing your muscles. My writing muscles eventually, although I’m more fired up finishing my German language novel at the moment, if EVER. Sigh, not enough time! Loved your Frankenstein picture on Facebook, must look at the post properly later today though. Hugs. I know what you mean, it always seems such a fight against time. Perhaps the universe is telling us we should be time fighters? I don’t know what that means – I have eventually gone mad. Glad you liked the photo – actually, now I think of it – in Frankenstein the novel, Elizabeth is sweet and totally ineffectual – I have given her agency – all right she is dead but she is making demands of Frankenstein. Hehe, you’re the 2nd writer who’s told me they have bucked up their female character’s ideas since reading my blog post today. Beef ’em and give ’em girl power, Pippi Rules! And there is a little Pippi Longstocking in all of us girls:) we just need to find her. This post gives me several factors I’d like to consider and keep in mind for a character I’ve written who many say I need to fix. If you want a pre-slayer, no-nonsense girl with power, always go back to Pippi Longstocking. Glad to have been of use for a change. Thanks for stopping by. Is this for the promised re-write of Speed of D. or is this for a new story? I’m thinking Hillary from The Speed of Darkness shouldn’t just conveniently go stupid at times, but more I just need to keep this stuff in mind because it is easier to start something new than rework events already set in your mind. She could have an annoying habit, something she does when nervous, upset or angry – like plumping up cushions, eat sweets excessively or fiddle with other people’s belongings. Think of all the things friends and family do in stressful situations,observe them and use it! you just have to make sure it’s something that will define Hillary as a character in crisis.